Brand new and boxed 12 fresh 5m flexible ducting with 2 clamps to fit to any 12 fan and filter. Boxed 12 Insulated 5m flexible ducting with 2 clamps to fit to any 12 fan and filter. Boxed fresh 5m flexible ducting with 2 clamps to fit to any 4 fan and filter. 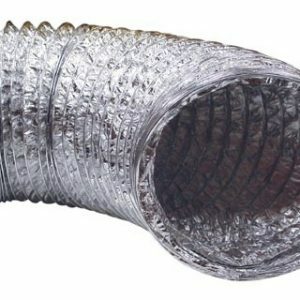 Boxed 4 Insulated 5m flexible ducting with 2 clamps to fit to any 4 fan and filter. Boxed 5 fresh 5m flexible ducting with 2 clamps to fit to any 5 fan and filter. Boxed 5 Insulated 5m flexible ducting with 2 clamps to fit to any 5 fan and filter. Boxed 6 Fresh 5m Flexible Ducting with 2 clamps to fit to any 6 fan and filter. Boxed 6 Insulated 5m flexible Ducting with 2 Clamps to fit to any 6 fan and filter. Boxed 8 fresh 5m flexible ducting with 2 clamps to fit to any 8 fan and filter. Boxed 8 Insulated 5m flexible ducting with 2 clamps to fit to any 8 fan and filter.